This weekend’s Nairo Saga tournament may be part of the 2GG circuit for Super Smash Bros. For Wii U, but it has a few unique twists. A mod pack is used during the games to add new music, team-specific colors and other competitive features. 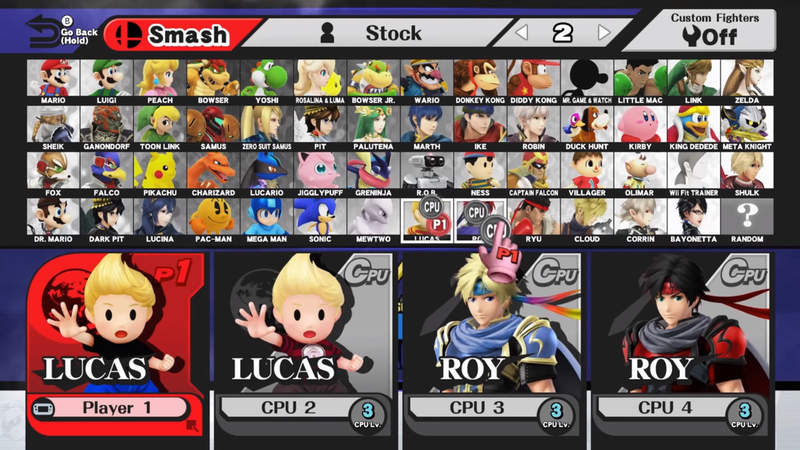 Mod packs for the Wii U Smash can range from full rehauls to minor adjustments. They’re commonly used by inserting an SD card with modded files into the Wii U, then accessing files using the internet browser. This specific mod pack is a more user-friendly, drag-and-drop pack, intended for offline use, but other mods can add new stages or in some cases, even change game data. Both the mod pack and the tournament take their namesake from Nairoby “Nairo” Quezada, a top Smash 4 player for team NRG. The Saga series of tournaments are named after different characters or players to highlight them specifically, and for Nairo’s tournament, he chose to implement his mod pack, updated for the Saga tournament. The pack adds tunes like Final Fantasy X’s battle music and Dragonball Z songs into stages, as well as a few sound effects for certain moves, like a sound-bite of commentator D1's “destruction” phrase. A really interesting addition is team colors for many of the players. Some of the Smashers in attendance, like Nairo and newly sponsored Zack “CaptainZack” Lauth, have team sponsors. Using this mod, players can opt to wear their team’s colors, adding a little personal flair to their color choice. The Nairo mod also defaults to the accepted competitive settings for Smash 4, a useful tool for tournament organizers in making sure every match is played on the correct settings for time and lives. Some players expressed their concern about playing at a tournament using a mod pack. Nairo Saga is a fairly stacked tournament—despite being a circuit event, it has enough top-tier players to attain an S-tier, a designation usually reserved for major events like Genesis or CEO. Some players, like Abadango, were concerned about playing high-tier opponents on a pack they haven’t practiced on. The rules of Nairo Saga do state, however, that if one of the players in a match does not want to use the pack, they can opt out and the match will be played on a normal Wii U. You can hear the sweet modded tunes and check out more team colors throughout today and tomorrow, as matches continue to play out on the 2GG Twitch channel.